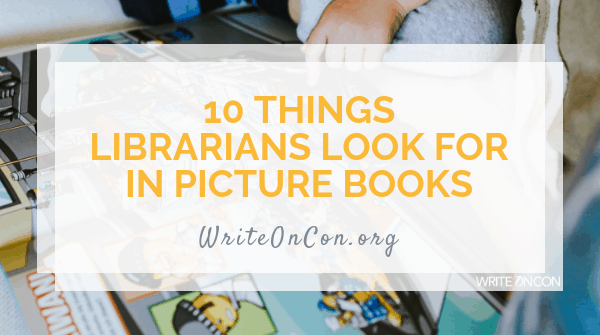 In my last post I talked about Top Ten Things Librarians Look for In Middle Grade and Young Adult Books. Many of those points also apply to picture books. So in this post I’m going to talk about what makes a picture book story time worthy. 1. An evergreen topic made fresh. There are certain themes that kiddos gravitate towards such as space, pets, dinosaurs or retellings. Marcie Colleen’s newest release Penguinaut!, illustrated by Emma Yarlett, is a fresh space adventure story, while Tammi Sauer’s Mary Had a Little Glam gives a classic nursery rhyme a new twist. 2. Books that are fun!!!! Fun can be in the way of illustrations, or funny words or situations. Dr. Seuss makes use of whimsical characters and even stranger lingo like the Lorax (no surprise his books elicit tons of laughs!) So does Alastair Heim’s hilarious No Tooting at Tea, illustrated by Sara Not. 3. Actions or phrases that can easily be repeated. Children like being part of the experience and it’s made even better when they can chant or sing along. Author Robert Munsch makes use of repetition in many of his books. 6. Short and sweet. While there is room for both short and long stories, sometimes short is the way to go, especially with younger kiddos. But just because a picture book is short doesn’t mean it isn’t fully fleshed out, like in Beautiful by Stacy McAnulty, illustrated by Joanne Lew-Vriethoff. 7. Picture books that fill in gaps, especially books that offer diverse perspectives. These include books such as And Tango Makes Three by Justin Richardson and Peter Parnell, or Last Stop On Market Street by Matt de la Pena and illustrated by Christian Robinson. 8. Stories that prepare kids for the future or stories that are with the times, such as Josh Funk’s How to Code a Sandcastle, illustrated by Sara Palacios. 10. Nonfiction, STEAM (science, technology, engineering, art and math), or even fictional stories that help children understand the world around them. Any nonfiction picture book by Nancy Churnin fits the bill because her stories are not only well told but also interesting. Please feel free to comment below and I promise to reply. Stay tuned for my November post, in which I’ll offer tips to help you plan and execute a successful school author visit (from the perspective of a librarian, of course). Awesome list. Very much appreciated. Thanks for posting this. It’s so informative! All great points! It’s what preschool/kindergarten teachers look for, too! This was a shirt post but packed with really helpful information. Thank you. Great post. Great books listed. Thank you. Great article! As a former library story lady, I always try to give my stories what I call “read-aloud-ability,” and I try to imagine the story being shared with a group. A repeated phrase is key. I love the tips, thank you! I can’t wait for the next post as I’m filling in my calendar with author visit bookings. Thanks for a librarian’s perspective, Rena. Great list!